CBRE is pleased to offer a prime freehold corner 2-storey shophouse building along Rangoon Road for sale through a Public Tender exercise. The offering, located at Nos. 137 and 139 Rangoon Road comprises of 2 adjoining sites. It has a combined land area of approximately 3,837 square feet. The current zoning is Residential with Commercial at 1st storey and has a gross plot ratio (GPR) of 3.0 in the 2008 Master Plan. The ground floor is currently tenanted as a coffeeshop. The subject building is strategically located at the junction of Rangoon Road and Dorset Road and stands out with a wide prominent double building frontage. It is conveniently located less than 350m from the Farrer Park MRT Station. There is ample public parking on both sides of Rangoon Road, which provides convenient access for commercial uses on the ground floor. Landmarks nearby include Mustafa, City Square Mall, Parkroyal Hotel, Civil Service Club and the upcoming Connexion at Farrer Park which houses the world’s first integrated healthcare and hospitality hub. The properties can be enhanced through Additions & Alterations by refurbishing the ground floor shop units and reconfiguring the existing residential space on the second floor, together with the addition of gross floor area by adding more upper floors, as the plot ratio is currently underutilized. This allows for a healthy rental income stream over the short to medium term. The site also has the potential to be fully redeveloped into a brand new mixed-used development. Rangoon Road has often been recognized as a popular F&B enclave with an eclectic mix of well-known tenants, including Ng Ah Sio Bak Kut Teh Eatery House, Founder Bak Kut Teh Restaurant, Liberty Coffee, Jewel Café & Bar, Whampoa Keng Fish Head Steam Boat Restaurant, Old Lai Huat Seafood Restaurant, amongst others. The area exudes a strong local heritage charm that comes with a twist of modern vibe which draws crowds from all over Singapore and is also highly popular with tourists. The area is well-poised for continued rejuvenation and the property will certainly benefit from the positive transformation of the Balestier area. Population density has increased with many of the new condominium blocks such as Cityscape and Forte Suites completing soon. The integrated healthcare and hospitality hub at Connexion presents a major highlight in the vicinity and will lead to even greater vibrancy in this area. The site is easily accessible via major arterial roads, Balestier Road and Serangoon Road, as well as the Central Expressway and Pan-Island Expressway. 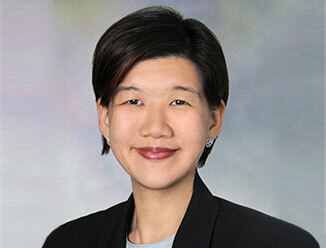 Sammi Lim, Associate Director, Investment Properties, CBRE said “This offering provides a rare opportunity to acquire a freehold and corner shophouse building in which there are extensive opportunities for the buyer to explore. The buyer can choose to hold the asset for a steady cash flow or explore refurbishments by increasing the existing GFA to take advantage of a healthy rental income stream in the short to medium term. In the longer term, with the positive transformation of the area, the site could capitalise on the maturing hub and be redeveloped into a brand new mixed commercial and residential development, to fully exploit the convenience and value of its location. The tender closes on 8 April 2014, Tuesday at 3 pm.